Do you have eyes that tear and a nose that itches and runs? 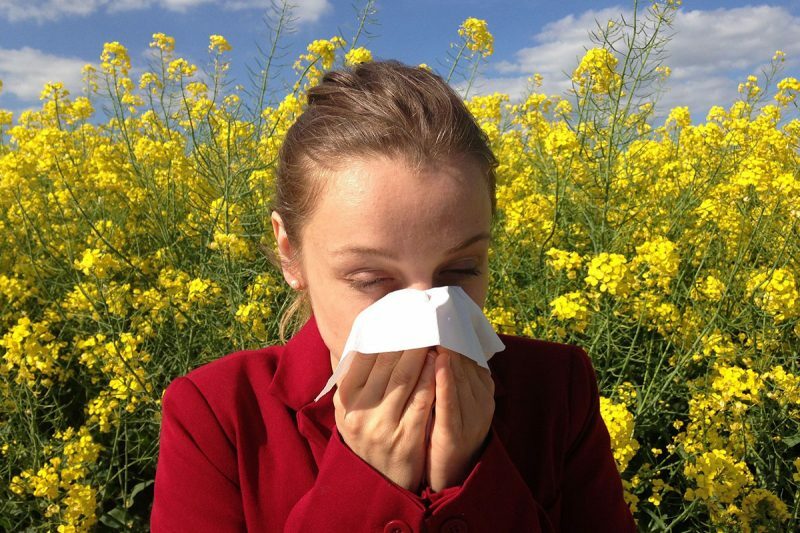 Millions of people each year suffer from sneezing, coughing, runny nose, and itchy-watery eyes as soon as the trees, grasses, or weeds begin to pollinate. As they begin to pollinate they release pollen into the air, and although the final destination of the pollen should be to fertilize other parts of trees, grasses, and weeds, they miss the mark on their target and some of us inhale these substances, which triggers an allergic reaction. Did you know that your spleen is an integral part of the immune system? Your spleen, along with the lymphatic system that it controls, plays a central role in the manufacture of antibodies that protect us against all pathogenic presences in the blood. The white pulp of the spleen and lymphatic glands is made up of clumps of lymphatic tissue that produce lymphocytes, monocytes and plasma cells, which in turn are capable of manufacturing over 100 trillion types of antibodies configured specifically to neutralize any type of antigen (pathogen or toxin). One of the first signs of spleen stress is the need to clear the throat frequently, drippy or swollen sinuses, becoming spacey or flighty, the loss of the ability to concentrate, or difficulty comprehending written material. Concentrated sugars, sweets, and an excess of fruits. Sweets combined with oils or fats further stress the spleen. Alcohol (including beer, wine, hard liquor, liqueurs, kombucha, honeys, Meade, Jun, etc.). Stimulants like coffee, soda, green/black tea, yerba mate, cacao, even an excess of hot peppers. Obviously, dietary and environmental stresses will have to be addressed to achieve optimal results. Yet, progress can be made in the meanwhile by adding spleen-building herbal nutrients to your health regime. Our Clean Spleen was built for this purpose as it rejuvenates the spleen (the organ responsible for digesting mucus in the body). Nourishing the spleen back to normal operating efficiency is accomplished with daily herbal support coupled with a moderation of extremes – both excesses and insufficiencies. Lifestyle habits and diet should be addressed for long term results. Reducing sweets, stimulants and alcohol will go a long way to ease the strain on spleen powers. Our human body was designed to function perfectly for many of years. Our lifestyle habits, environment and diet have taken their toll, shortening our lives, while making our few years we do have less enjoyable than they could be. It is possible to reverse many of these effects with the use of Nature’s food resources and a few dietary changes. Lifestyle habits and environmental changes may come slower, yet still, we can improve what years we still live with a few sensible choices.